originally produced in St. Louis. Just as wine and beer drinkers enjoy picking out the perfect beverage to go with their meal, those who don't imbibe also enjoy variety in their nonalcoholic drink choices. 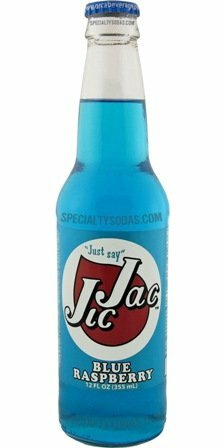 I was looking through a specialty soda website recently and found more than 1,200 different sodas available, many I had never even heard of before. Over the past several years, as craft beer has become more popular, so have craft sodas, using fresh ingredients and very little sugar. We've seen soda tastings, soda pairings and soda mocktail contests. So with all of these interesting sodas available, why aren't restaurants offering more choices? It's true that specialty sodas cost more than traditional soda, but customers are also willing to pay a premium price for the novelty and uniqueness of a specialty soda that they can only get from you. Take a poll of your customers, or run a test with some sampler packs. See what the reaction is to some additional soda choices at the pizzeria. You may be pleasantly surprised at the results. Are you already offering specialty sodas? What are the results? Let us know in the comments section.